Recording the surface temperature is vitally important for a great number of processes in industry and trade. Amongst other things, it enables the quality criteria of products and systems in heating engineering, the building trade, the energy sector and manufacturing industry to be met. 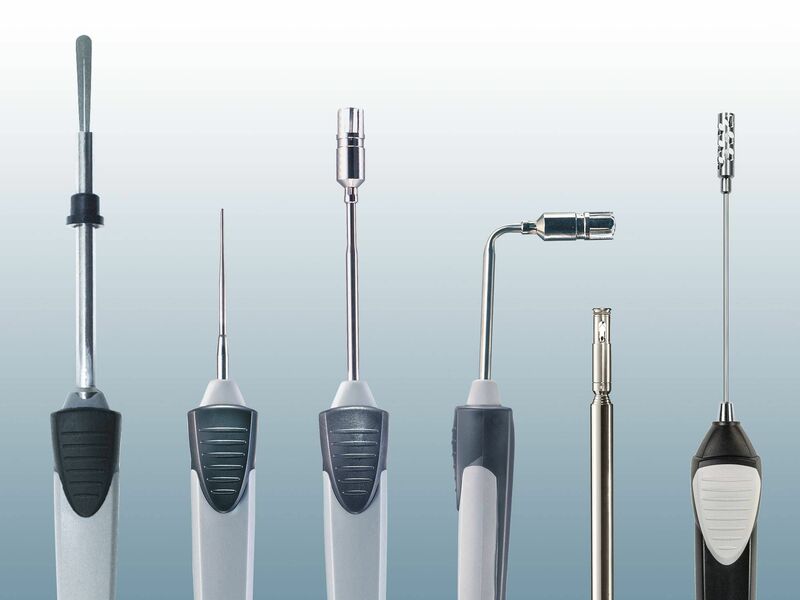 For the quick and efficient performance of similar measurements. For measurements on/in various objects. Fast, digital, highly efficient and with an App. For every surface, for every application and for every budget. “The measurements you take are always out, you just need to know by how much.” There is a lot of truth in these words from Dave Packard, the co-founder of Hewlett-Packard. 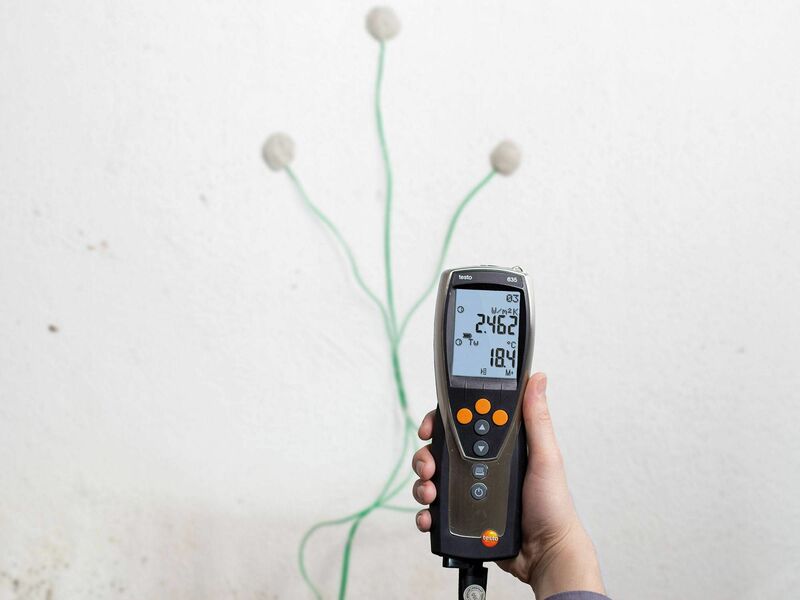 And, in order to know how accurate (or how inaccurate) your measurements are, a surface temperature meter also needs to be calibrated regularly. This is the only way to ensure that the measurement carried out with it has really been accurately performed. Calibration: The recording and documentation of the deviation of a measuring instrument from another instrument under prescribed conditions. This instrument is described as the standard. Calibration includes the documentation of the deviation, calculation of the measurement uncertainty and creation of the certificate. Calibration allows conclusions to be drawn on the instrument's past. 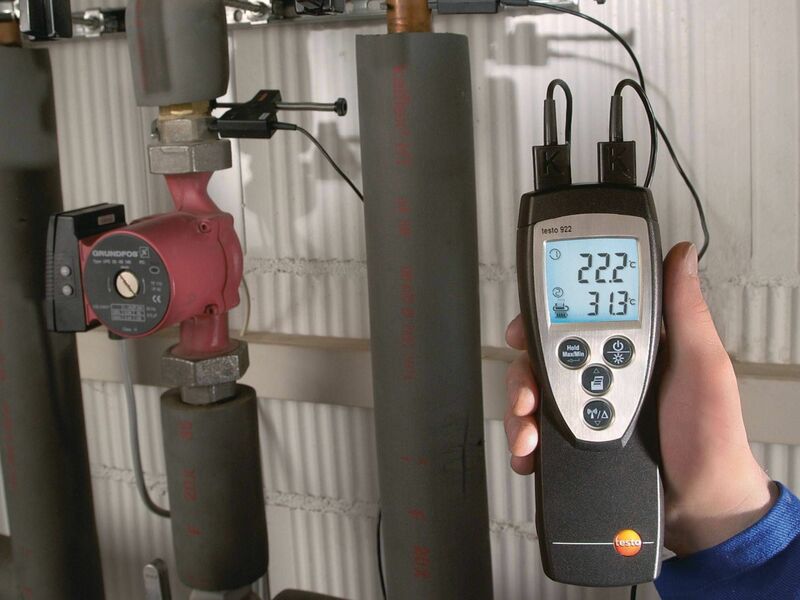 To clearly indicate the status of a measuring instrument, it must be given a calibration mark. Adjustment: Setting a measuring instrument to the smallest possible deviation from the correct value. 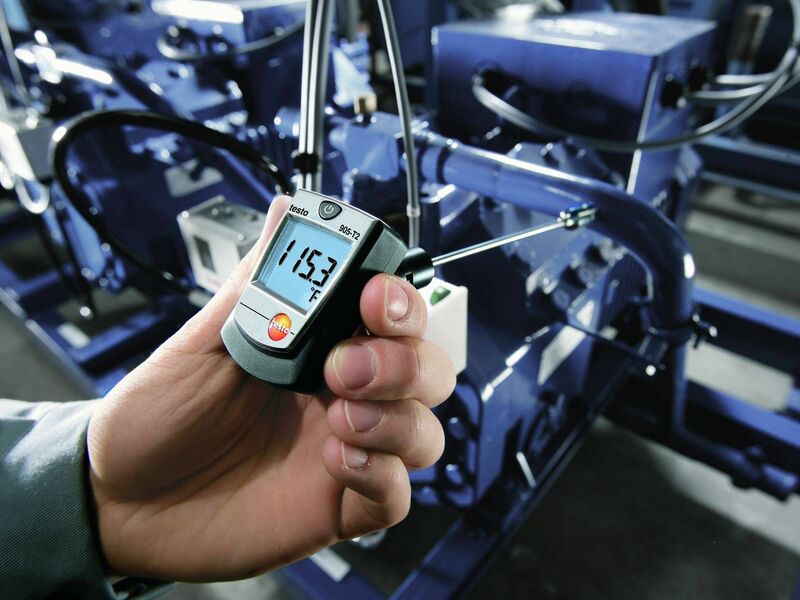 When it comes to adjustment, an intervention on the measuring instrument is necessary. Traceability means relating measurement results to national or international standards through an unbroken chain of calibrations. A standard is a metrological comparison object, a comparison material or a precise measuring instrument for the calibration of other measuring instruments. Standards have often been around for a very long time, such as the measures of capacity from Pompeii. 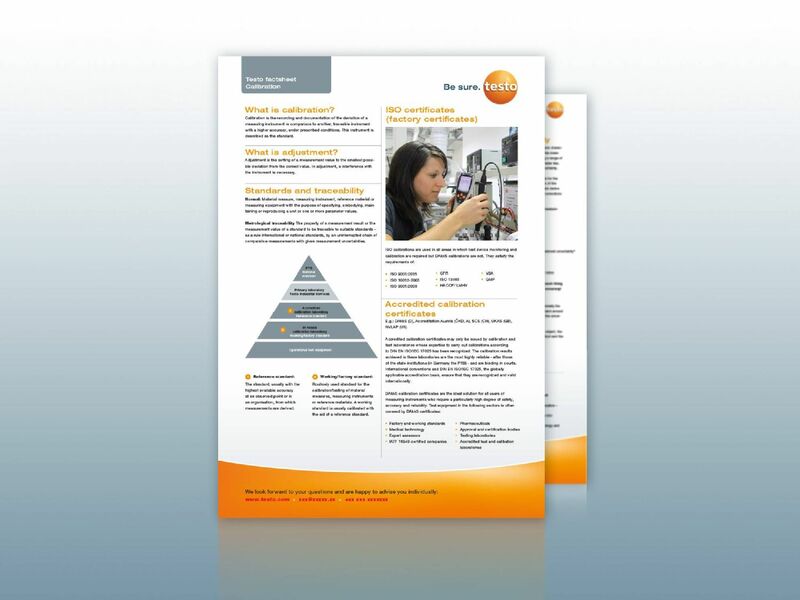 A compact summary of everything you need to know about calibration and adjustment. 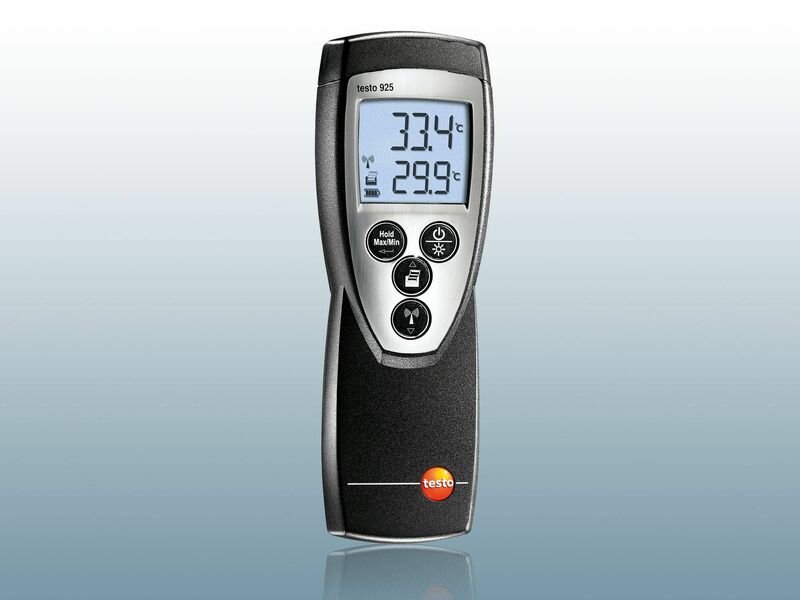 Measuring surfaces, recording temperature on surfaces – and all the other VAC parameters too! 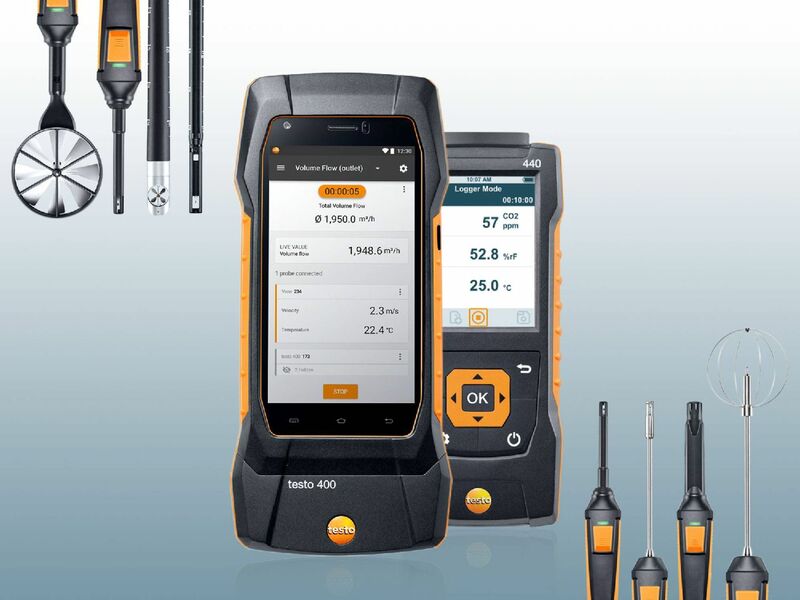 We developed our testo 440 and testo 400 multifunction measuring instruments specifically for these tasks. They are used to record all relevant VAC parameters in office, residential and industrial buildings – intelligently, highly accurately and according to the standards. Do you want to carry out contactless measurement of temperatures on surfaces from a distance? 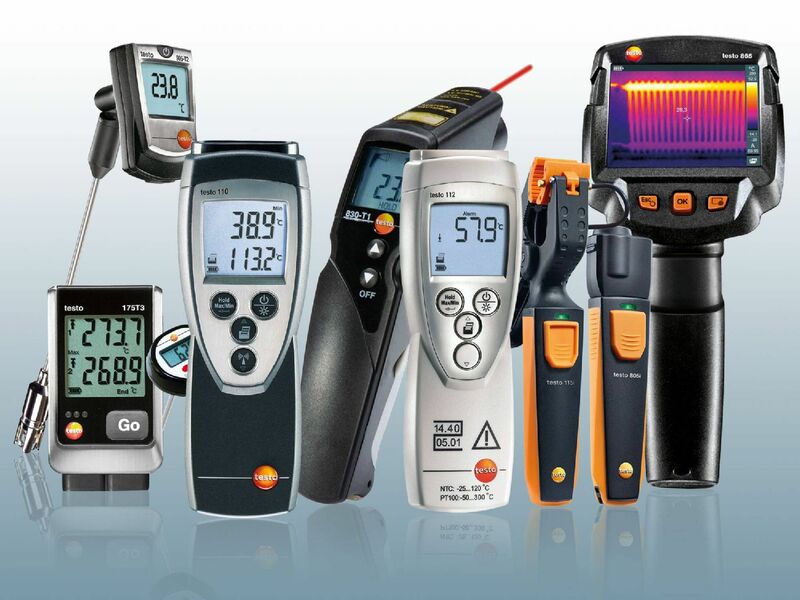 Then, get to know Testo's thermal imagers and infrared thermometers now. 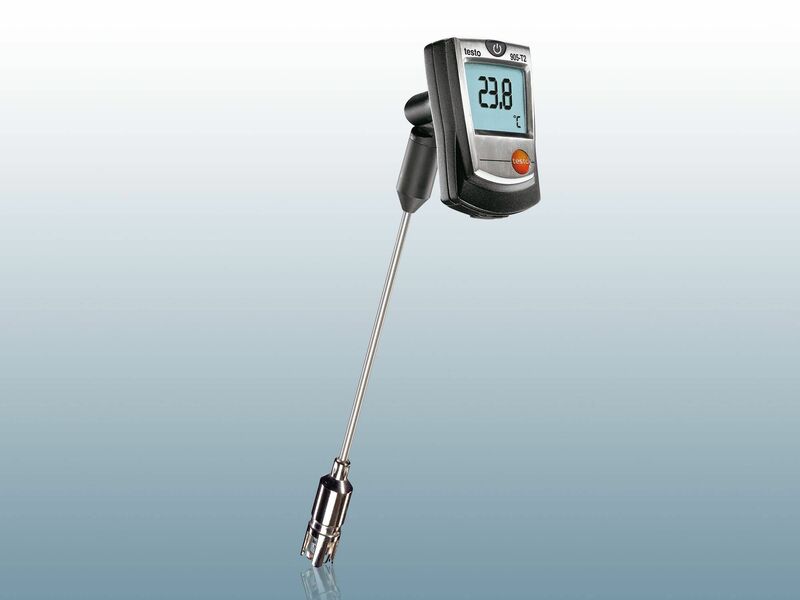 IR thermometers are suitable for spot measurements and checks – for instance in industry, or also in the food sector. On the other hand, thermal imagers convert the thermal radiation of a measurement object into an infrared image – this is the way to visualize temperatures. 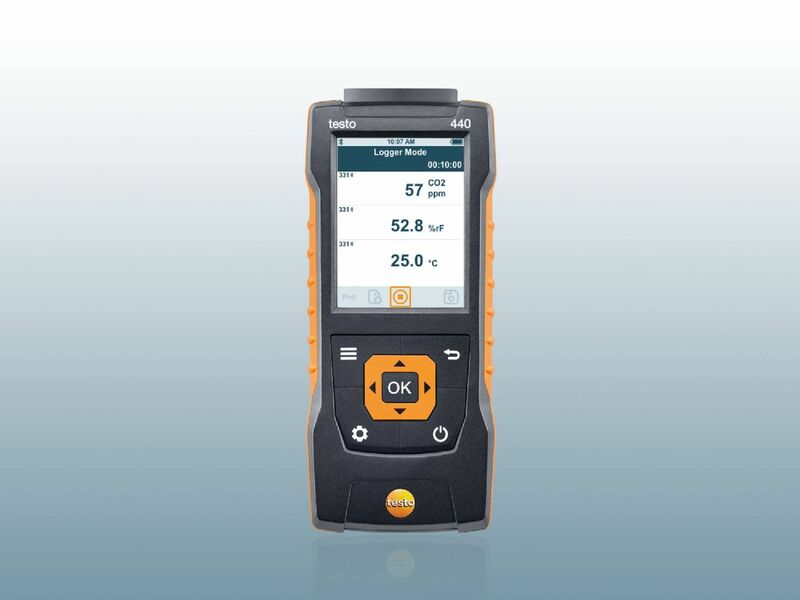 Ideal for heating engineering, industry and the construction sector. 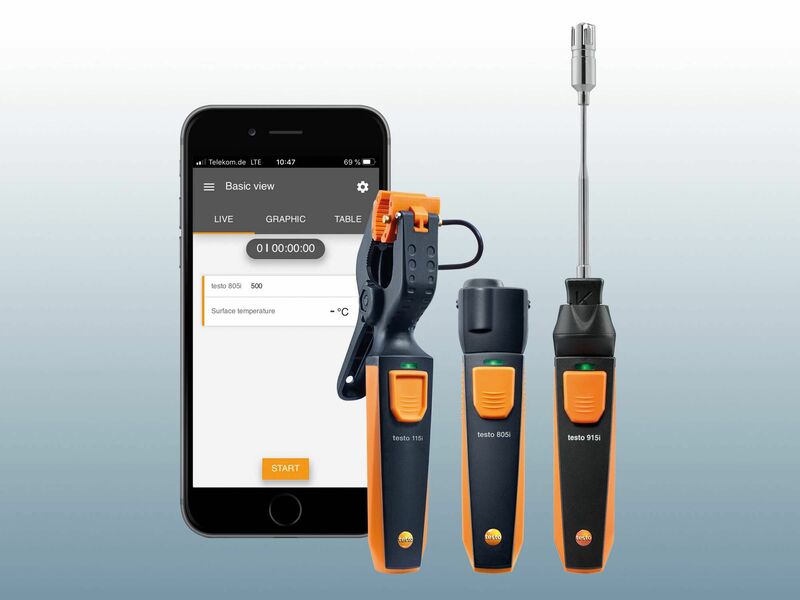 Temperature data loggers and temperature measuring strips are further possibilities for temperature measurement. You can use the loggers to measure, monitor and document temperatures and other VAC parameters over individually adjustable time periods. Ideal for storage areas, office buildings, museums and the transport of temperature-sensitive goods. Temperature measuring strips are self-adhesive. You use them to measure surfaces, by means of the colour of the corresponding field changing irreversibly according to the temperature. Penetration thermometers and immersion thermometers are ideally suited for measuring temperatures in liquids, semi-solid media or pastes. They are often used in the food sector as well as in laboratories.